Boatbuilding, and boat design, along with sailing, were an early obsession; I made boat building my career (a few years after completing a university degree) with an apprenticeship at Arthur Holt’s yard at Heybridge Basin, near Maldon, Essex, starting in 1978. I started on own in 1982, initially in collaboration with Iain Oughtred, building to his designs before our paths began to diverge, and spent five years building boats at Osea Island on the River Blackwater, taking over a workshop established for traditional boatbuilding by friends who "moved on". 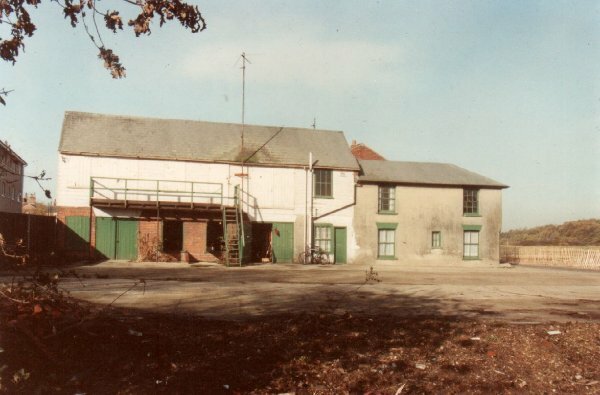 I came to Rowhedge in 1987 and have occupied the present premises since 1990. Over the years the the work done has been roughly 40% new boats built,50% repair and restoration, and 10% allied work, with the occasional piece of furniture and non-marine work. (I hardly ever work on grp boats.) I like to do as much of the work myself as possible, including spars, oars, joinery, painting, fabricating some fittings where no welding is required, casting lead keels, and so on (not sails and rigging!) - though this may not always be the most economic route. Small boat design has always been a part of my work too.